If you are looking to convert your old studio footage, video project, or business commercials to digital files to integrate into your modern workflow – Two Squares is where your tapes need to go. And we are definitely not going to charge you studio time rates to complete the job. We offer high grade conversion services in our local Minneapolis, MN shop and welcome anyone with the need that is not local to ship your video tapes to us for superior transfer and restoration results. Keep what you need functional and at your fingertips with the help from our digitizing services. 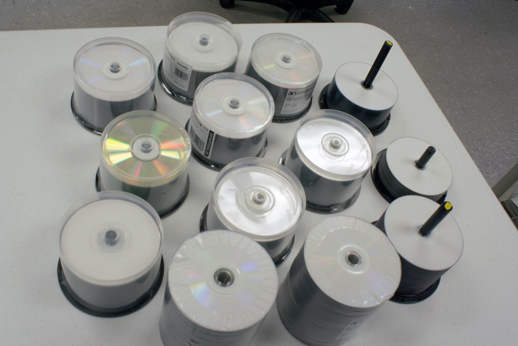 Why Convert Your Studio Tapes, U-Matic and Betacam Tapes to Digital Files or DVD? 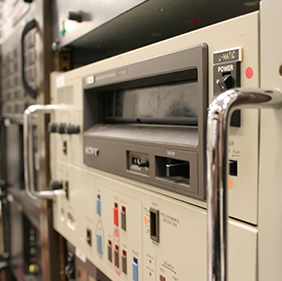 The evolution of studio video tapes is even more complex than the consumer grade tape video tapes. From 2 inch quad (quadruplex video tape) that was introduced in the 1950s to 1” Type C open reel helical scan video tape that became the standard in the 1970s to the many different types of SD and HD digital tape formats some of which are still used today, these video tape recorders/players are very large and heavy and many times difficult to find in working order. If your particular tape format is not listed, please contact Two Squares to see if it has been added or will be soon.